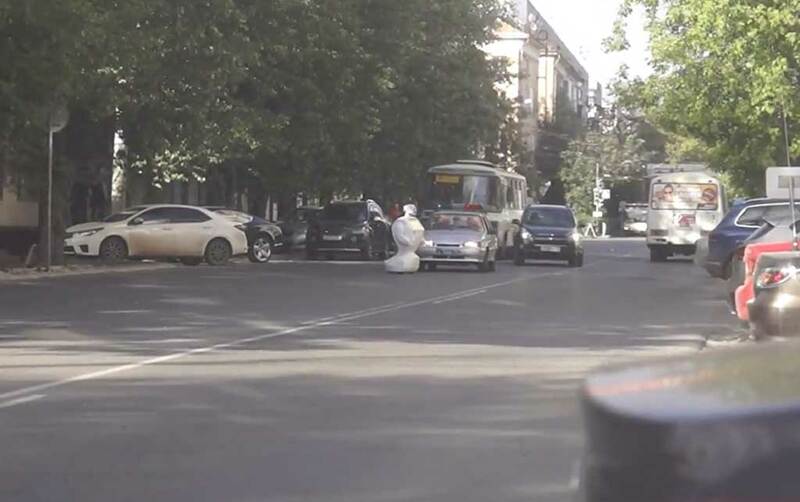 A robot escaped from a science lab and caused a traffic jam in a Russian city. 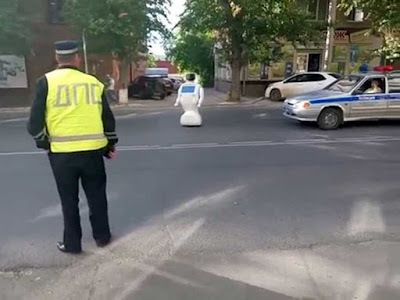 Scientists at the Promobot laboratories in Perm had been teaching the machine how to move around independently, but it broke free after an engineer forgot to shut a gate. The robot found its way to a nearby street, covering a distance of about 50m (164ft), before its battery ran out. The vaguely humanoid machine was left standing in the middle of a busy road, guarded by a traffic policeman. YouTube link. YouTube news video with some additional footage. It was then wheeled off by a human, presumably an engineer from the company that developed the robot. There is, however, speculation that the incident was a ploy devised by Promobot to draw attention to its creation.